Where are these ex-KKR players now? Kolkata Knight Riders are one of the more popular Indian Premier League (IPL) teams with a huge fan following. 55% of KKR's stake is with Red Chillies Entertainment of Shahrukh Khan and remaining 45% with Mehta Group of Jay Mehta (husband of Juhi Chawla). Dinesh Karthik, Andre Russell, Kuldeep Yadav, Robin Uthappa, and Sunil Narine are a few of the prominent players retained by KKR ahead of the upcoming edition of the IPL. There have been also a few key players signed, such as Carlos Braithwaite, Lockie Ferguson, and Joe Denly. The purple and golds have been a part of the IPL since its inaugural edition in 2018. Legendary players such as Brendon McCullum, Sourav Ganguly, and Ricky Ponting have also donned KKR's jersey. Despite being a 'big' team, KKR were knocked out during the league stage itself in the first there editions of the IPL. However, the Kolkata-based franchise has made it to the playoffs in six of the last eight editions and won both the finals it has featured in (2012 and 2014). In this throwback article, we take a look at the Kolkata Knight Riders' playing XI in their first ever IPL game and where they are now. In that match, KKR squared off against RCB in the first ever match in IPL history and won the game by 140 runs in an emphatic fashion. Sourav Ganguly came out to open with Brendon McCullum during KKR's first match. Ricky Ponting coming in at number there completed one of the most daunting top orders. 46-year-old Ganguly is now currently the president of the Cricket Association of Bengal. God of the Off Side, as Ganguly is popularly known, played a total of 59 matches in the IPL and amassed 1,349 runs at an average of 25.45. He is also currently a member of IPL's Technical Committee as well as Governing Council. Gangluly also owns a stake in Indian Super League club ATK. Any cricket fanatic would remember Brendon McCullum's blistering knock of 158 off 73 deliveries in the opening match of IPL. The Kiwi player hit 13 sixes and 10 fours in his breathtaking knock. The New Zealander retired from all forms of International cricket on 24 February 2016 but still plays for multiple domestic T20 leagues. 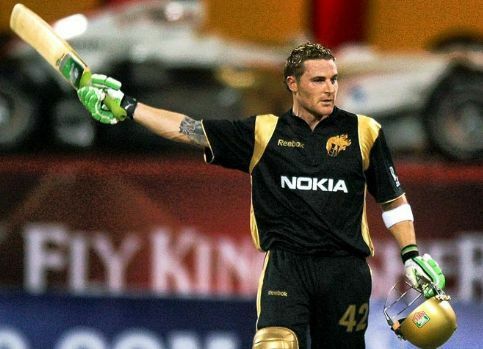 Brendon McCullum went unsold during IPL 2019 auction. He represents Brisbane Heat in the Big Bash League and Trinbago Knight Riders in the Caribbean Premier League. The explosive player has played a total of 109 IPL matches and accumulated 2,880 runs at an average of 27.69 and strike rate of 131.75. 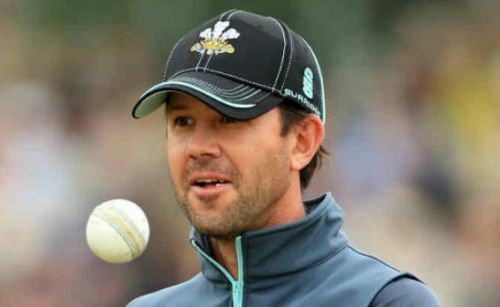 Ricky Ponting came in at one down during the KKR's first IPL match. He scored 20 off 20 deliveries and supported McCullum in hitting the historic knock. Considered one of the greatest batsmen of all time, Ponting has currently the assistant coach of the Autralian national cricket team. The natural leader will also be seen as the head coach of the Delhi Capitals in IPL 2019. The former Aussie skipper did not have a memorable IPL career as player as he only amassed 91 runs in 10 matches at a dismal average of 10.11.